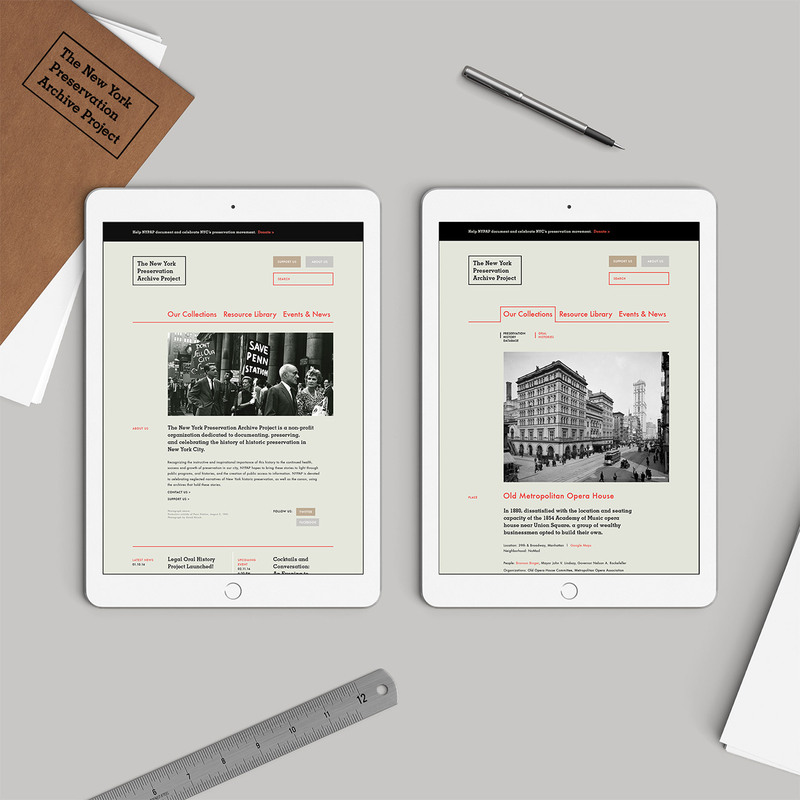 Hot off the pixel presses – a brand new website for The New York Preservation Archive Project is live!! We were honored to work with this incredible non-profit that has worked tirelessly to document, preserve, and celebrate the history of historic preservation in New York City for the past two decades. The new website makes the Archive Project’s incredible catalog of stories, images, interviews, and preservation resources more accessible to a wider audience, so they may continue to fuel the health and success of preservation in our city.